A freelance writer and blogger since 2007, Shamala Pulugurtha's work has appeared in magazines such as the "Guide to Health and Healing" and prominent websites like Brain Blogger and NAMI California. Pulugurtha has a postgraduate degree in medical microbiology from Manipal Academy of Higher Education, India and has completed course work in psychology and health education. Creatine kinase is also known as creatine phosphokinase or phosphocreatine kinase. An enzyme involved in the synthesis and use of energy-providing molecules, it's predominantly found in the cells of the heart, skeletal muscles and brain. The amount of CK in the blood depends upon gender, activity level and ethnicity but normally ranges from 22 to 198 activity units per liter of serum, according to the Muscular Dystrophy Association. Levels can shoot up to 200,000 units per liter during certain health conditions. There are three major subtypes of CK based on the site of isolation. CK-BB is commonly isolated from the brain, gastrointestinal tract and the urinary tract. CK-MB is found in heart, while the skeletal muscles and heart are the main sites for the subtype CK-MM, says Dr. Ramnik Sood, author of the book "Textbook of Medical Laboratory Technology." CK-MM is the main creatine kinase subtype in the blood of healthy individuals. The presence of other CK subtypes in the blood can indicate various health conditions. CK plays a major role in the production of energy in the body, making it necessary for the proper functioning of most tissue and organs. CK facilitates the process of energy transduction in muscles and other tissues by catalyzing the formation of energy molecules known as adenosine triphosphate, or ATP. According to the book "Creatine: The Power Supplement," the concentration of CK is higher in muscles, heart and brain because of increased energy utilization and generation in these sites. Any variation in the levels of CK in the body may lead to health issues. In fact, according to a study published in a 2006 issue of the "Journal of Biomedicine and Biotechnology," disturbances in the activity of CK in the brain may increase the severity of Alzheimer's disease. Another study published in the November 2000 issue of the "Journal of Hypertension" revealed that increased activity of CK in the heart tissue of certain ethnic groups can increase the risk of hypertension. 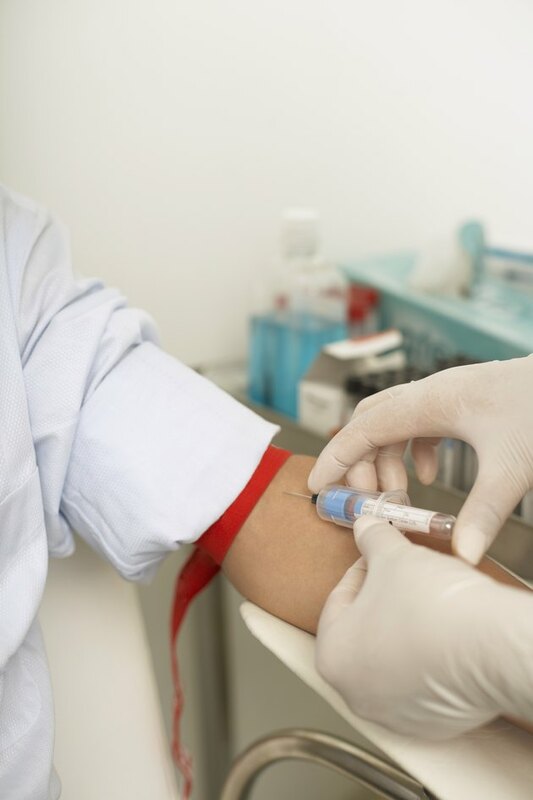 Elevated levels of CK in the blood may indicate a variety of conditions ranging from heart disease, muscular dystrophy, nerve damage to thyroid disorders and kidney malfunction. Your doctor may order a creatine kinase test to screen you for any of the conditions that commonly lead to increased CK levels in the blood. MedlinePlus suggests that it is important to inform the doctor about any medications that you might be taking including ampicillin, amphotericin B, aspirin and alcohol. What Are CPK Muscle Enzymes? Does Sodium Affect the Brain? What Is the Taurine Supplement Used For?